There appears to be a schism among American Jews about the Trump administration on many topics, including climate change, Israel, Iran nuclear deal, corruption, emoluments, presidential personality, taxes, truth telling, freedom of the press and immigration. Progressive or liberal minded Jews often point to the ship the St. Louis as a means to show how harsh, racist immigration policies can lead to deadly consequences. Jewish Trump supporters would say that comparing the plight of Nazi refugees is not the same as Central American illegal immigration. 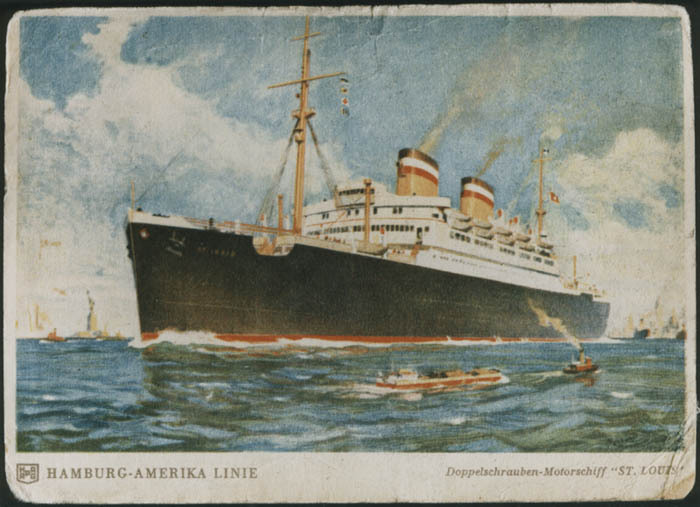 The St. Louis set sail from Hamburg Germany on Saturday, May 13, 1939, at 8pm. The destination was Cuba and on board were over 936 Jewish passengers fleeing Nazi Germany. The ultimate result of this voyage was no country, including Cuba and the United States allowed the passengers to disembark in North America. The obvious impetus for the Jewish passengers was to flee the persecution inflicted in Germany. After Kristallnacht in November 9-10, 1938, many Jews within Germany decided that it was time to leave. The pogrom, resulted in hundreds of injuries, destruction of Jewish buildings, businesses and synagogues, many deaths and the arrest of 30,000 Jewish men, who were sent to concentration camps. The attacks were perpetrated by SA paramilitary forces and German civilians, . By 1939, not only were visas needed to be able to enter another country but money was also needed to leave Germany. The St. Louis was considered by its passengers its hope for survival. The story of the St. Louis did not end off the coast of Miami. The ship returned to Europe and only because of the insistence of its Captain, Gustav Shroeder, none of the passengers went back to Germany but were accepted in Belgium, the Netherlands, France and Great Britain. World War II, beginning in August of 1939, led to the Nazi Germany occupation of Belgium, the Netherlands and France, and ultimately the death of 254 of the passengers in concentration camps. Captain Shroeder, a non Jew, in refusing to return the ship to Germany saved many of the passengers. Captain Schroeder even threatened to wreck the ship off the coast of England so that they could be admitted as refugees. On March 11, 1993, Yad Vashem, in Israel posthumously recognized Captain Gustav Schroeder as Righteous Among the Nations. The history of immigration to the United States is ripe with racism and xenophobia, The 1924 immigration act was primarily aimed at preventing Italian and other southern European Roman Catholic countries from immigrating and included discrimination against Jews and all non-whites. Ironically there was no specific legislation against blacks from Africa or immigrants from Central or South America who were considered “white”. In 2018, the US Administration policy on restricting immigrants from certain Muslim countries, the building of a wall along the Mexican border, the denial of asylum rights to Central American immigrants, the separation of children from parents at the border, finding a solution to the DACA children ( Children brought here by illegal immigrants.) are policies that require rational, legal, and hopefully humanitarian solutions. These current immigration issues may even, incredibly, seem minor compared to those faced in Europe where hundreds of thousands of refugees from Africa and the Middle East have caused considerable political and social upheaval. And the current crisis in Venezuela, is causing a major refugee problem for its neighboring South American countries. The concept of a nation controlling its own borders seems to be universally accepted. The problem is how to accomplish this goal and still act with legal and moral authority. The criticism of President Trump by many Jews is his lack of empathy, comfort or concern for the plight of those trying to escape harsh, and sometimes dangerous circumstances. Situations where life and death is in the balance as it was for the Jews on board the St. Louis. His use of the terms rapists, animals, gang members, create the fear, and anger that lead to unjustified excesses, separating families, and denying legitimate court adjudication of asylum requests. The spending of billions of dollars on a wall seems absurd when that money could be spent on correcting the underlying reasons for the immigration. Peace in Syria, Iraq, and Afghanistan, water, in Africa, and fighting climate change (which ultimately will create massive migration problems )are the real solutions to the massive world wide refugee problems of today. Add to that the corruption and break down of law in Honduras, Guatemala, and El Salvador, and governmental calamity in Venezuela. Those are the real underlying problems and solutions appear unattainable. But solutions are possible, diplomacy, science, technology, morality, would provide what’s needed. Wars can end, fields can become fertile and countries can rid themselves of corrupt leaders.